Thanks to its robust and sturdy construction, KS-W613 has high level of cutting and stripping force, it can process wires with hard insulation, it is able to process Max. 70mm2 wires. 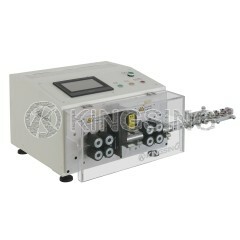 KS-W613 has special capabilities that go beyond stripping and cutting, allowing it to handle the most demanding tasks. 1. 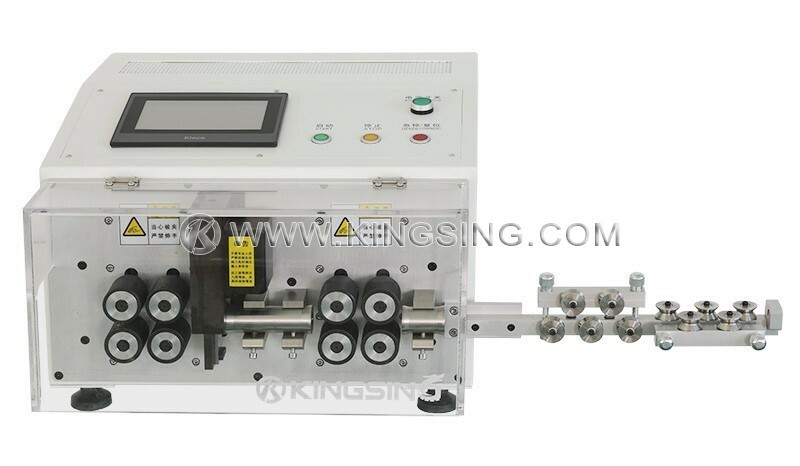 KS-W613 is driven by 4 sets of strong wheels, high level of wire feeding force, non-slipping, the knife unit adopts gear-driven design allow the machine to process max. 70mm2 wires. 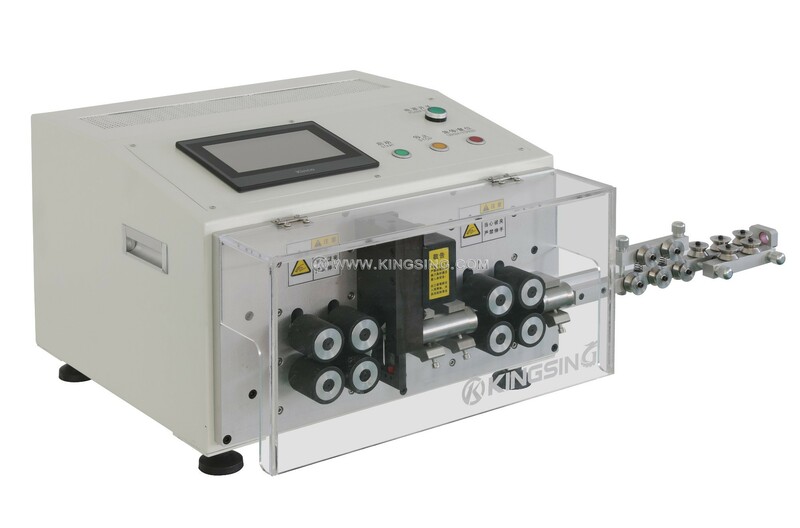 This machine is widely used in new energy wire harness processing field. 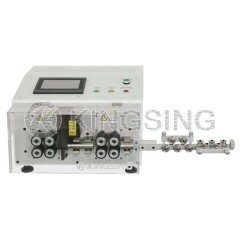 procedure, thus the stripping length of wire head is greatly increased. 3. Color touch screen operation interface, all parameters are easy to understand, operator can handle the machine after brief training. KS-W613 has 3-layer stripping program which can strip 3 layers or strip 3 times while the required stripping length is longer than usual. The machine provides 69 sets of memory function, it is able to store different processing parameters in different program.